Same here, I played it a lot before I got my CDL. well today i made the ground loop isolator. but it didnt solve the power supply buzz that i am experiencing. i brought the system inside and the buzz goes away on the home electrical. im wondering if its just an after effect of being powered by the inverter. in a couple weeks i think i am going to get some fans to move more airflow across the back for the GPU. overall this week i was able to get some game time in and its nice. it certainly helps relax after an 11 hour drive shift. here soon i plan to get some developer tools installed. home rig gets a core (CPU MOBO RAM) upgrade towards end of this year. If the inverter isnt pure sine, thats probably your issue. a pure sine UPS might do the trick for less total cost but will mean more load. 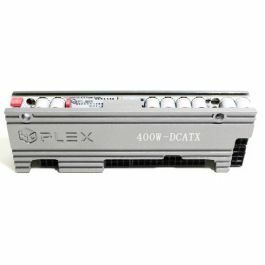 Have you considered a dc to dc power supply? No I have not. I didn’t realize they made these. But yeah the voltage would be a problem. Truck only outputs 14V off alternator. Which gets under 14V with losses. Not sure though if I could step up the voltage somehow or not. I’ll probably find either a UPS a let it take the abuse. Or get a nicer inverter. True, a nicer inverter will be kinder to the rest of your ac components. The ups is probably cheaper than a new pure sine inverter but its gonna maybe be a PITA because you have to turn it off every time with your PC. 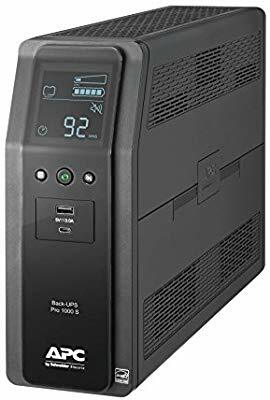 Ironically I have the slightly older And none pure sine wave version of that ups it’s a solid ups but mine needs a replacement battery. Just haven’t bothered to order one. Powersonic, they can be had for fairly cheap on amazon or wherever. Use them at work for our UPS replacement batteries. It probably will be about half that. This is the OEM one. Kinda browsed powersonic brand and didn’t see one for this form factor. hard to tell without pulling them apart though. I mean, the truck is already acting as a UPS right? dont they have their own BMS that starts the truck if the voltage drops too much?